Pinterest Communities were announced at Pinterest’s In The Making Conference this past June, but did not make their debut on the platform until this past week (September 2018). In usual fashion, this feature was quietly rolled out and you must be invited to a Community to access them as of publishing this post. No word nor mention on the Pinterest blog yet. 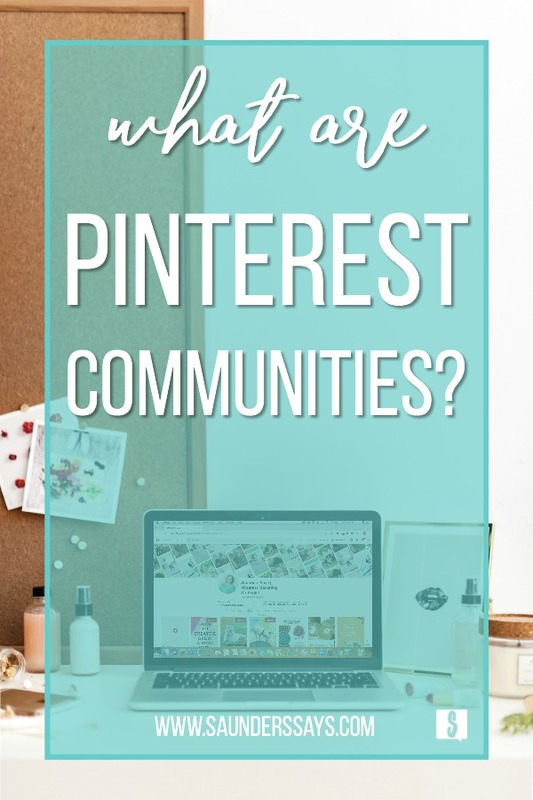 Pinterest Communities – What Are They? So why are Pinterest Communities important and what does this mean for content marketers and businesses? Well, first of all, Pinterest Communities are bringing the social aspect to the platform. Think of it this way, if you’re in the finance industry and you have a community about finances, you can share and discuss all things finance related. Here’s the really cool thing, once a community has been named, it cannot be duplicated. There’s only one “Tea” community and one “Animals” community. Unlike group boards or even Tailwind Tribes, this feature allows for less duplication. Considering Pinterest Communities are brand new, go grab the main name of whatever niche you’re in before it’s gone. Personally, I like this aspect because it allows communities to be a true community with no competition. Even if “Tea” is taken, you can still participate and engage with others in that community. As I have always said, Pinterest is a collaborative platform and it shows with communities. When Pinterest created group boards, they were originally intended for the Pinner to share ideas with friends. 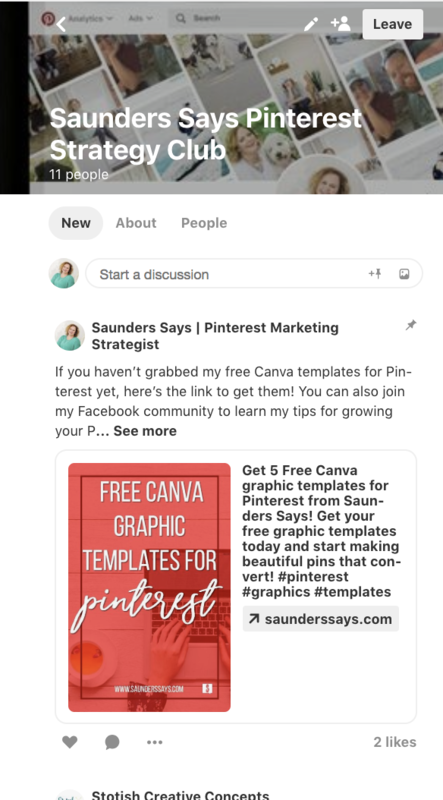 Over time, group boards transitioned into a way for infopreneurs and content marketers to share their information with many Pinners at once and grow their following. While the social aspect was slim here, this was the first glimpse at Pinterest wanting to provide Pinners with a collaborative social experience. Pinterest is now also a social media platform (like Instagram or Facebook) in addition to being a search engine! 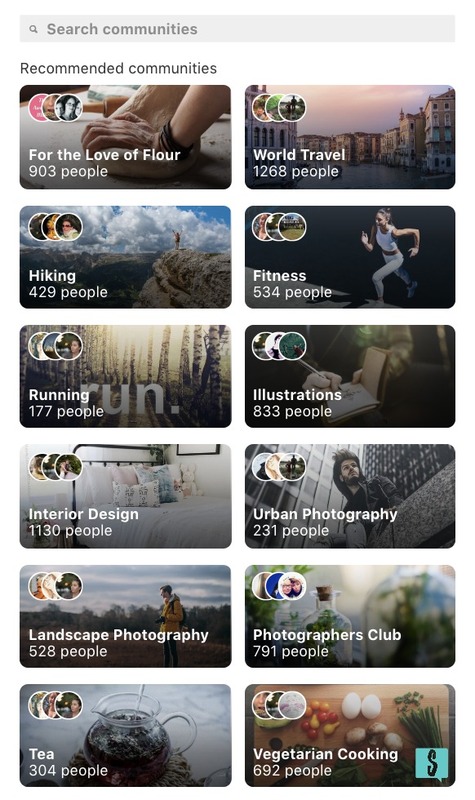 Pinterest Communities have created a way for Pinners to communicate with one another based on niche. Not only can you have conversations, you can also share links and Pins! Community members can reply with comments, “heart” posts and replies, and actively engage with others in the community. As a Pinterest Community admin, my favorite feature is the sticky feature. This allows me to select a post to be at the top of the community at all times. Of course, you can always change this later. How Do You Get Into A Pinterest Community? As I mentioned already, you must be invited to be to join a Pinterest Community before seeing the tab on your account. Invites can be manual from the community admin or simply by clicking on a link that someone else has shared. As of publishing, there is no other way to join a Pinterest Community. 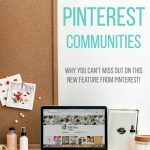 After joining one of these niche based communities, you will find the new Community tab on your Pinterest platform. It is available on both desktop and mobile versions. With Pinterest Communities being so new, the time to get in is now! You can create your own community and be the admin! Imagine the possibilities of what this can mean for you and your business or blog. Remember, just like all parts of Pinterest, keywords are important in naming your community. How do you actually create one or grab the name you want?! Does anyone know what the cover art size is and the photo size. Seems to me the photo size is like Instagram Square and the Group Community Board??? Have no idea the photo size do you know please? I tried to click the link for your communities, but I just got referred to my feed. ? Did you try from a laptop or a mobile device?